Thanks to a few wise investments, industries across the state of Texas have reaped the immense benefits of the oil and gas boom. Texans have seen massive returns on their investments in shale development in the form of oil and gas royalties. Just this week it was reported that the Texas Scottish Rite Hospital in Dallas has received nearly $500 million in oil and gas royalties, increasing its endowment to $2 billion. The hospital specializes in pediatric orthopedics, and provides children with medical care regardless of their ability to pay. The University of Texas is not the only college receiving these benefits either. Texas A&M University’s endowment (managed in conjunction with the University of Texas) also benefited from shale production royalties, rising 27 percent in the fiscal year of 2013-2014. 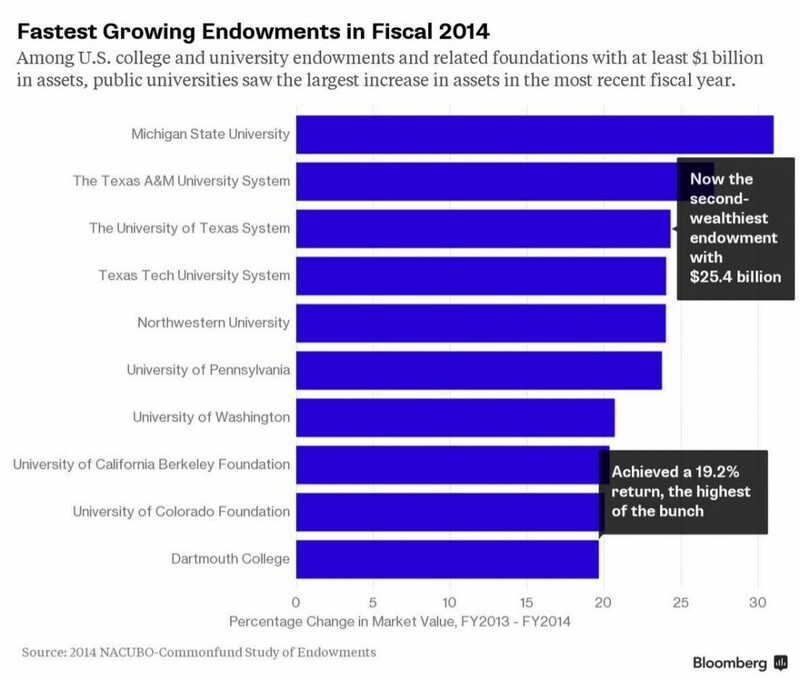 Texas A&M’s endowment now ranks 7th in the nation and only one university (Michigan) had a higher growth rate. Take a look at the chart below, and it’s easy to see that Texas universities are directly benefiting from Texas oil production. Whether it’s through taxes, job creation, or royalty revenue, there’s no doubt that the oil and gas industry has created a windfall of funds for families across the state. A few wise investments have gone a long way in the Lone Star State, and if managed wisely, they will continue to work for Texans for generations to come.